I'll post this as well, spotted on (I believe) Nov. 27 in Wekiva, FL by Instagram user @giamaz000. Headed East per the sunset and evening post time. That may well be B1051 for DM-1 given the timeline they usually work. Neither of those is really inconsistent with it being 1051. That picture was taken through a tinted bus window so I think that has something to do with it. Here is the full size picture along with a couple of other shots of things sitting around. Just to summarize the core spottings today, B1051 & S2, B1048, and Dragon C201 & trunk are all in the 39A hangar as of Dec 18. Attached photo is from Emre Kelly/Florida Today. How sure are we that this Dragon is getting the C201 number instead of that going to some of the structural or other test articles? For example, what was the number for the article which was used for the Pad Abort? I'm building off of /r/SpaceX's very well-maintained core and capsule lists, which tend to be based off of real internal numbering. 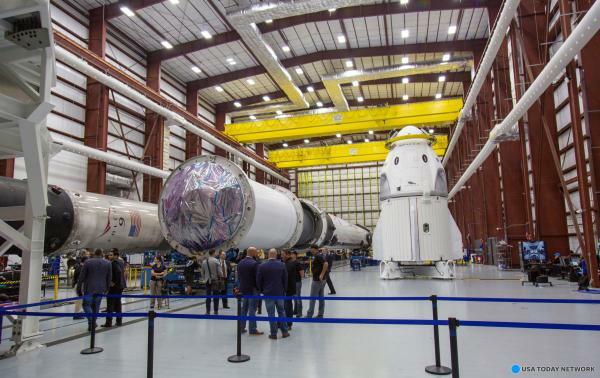 Just like Cargo Dragon and Falcon, vehicles only tend to get their own numbers if they are flightworthy, which rules out STAs and other partial fidelity test articles. Olaf and gongora have you covered on this, as always It is on this thread for the NAC meeting from March 2018. 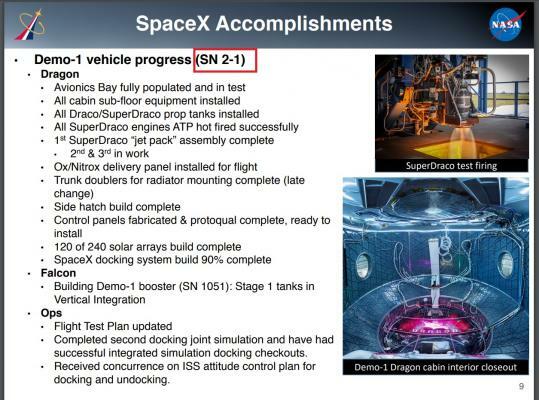 Slides 9 and 10 on this presentation is where the serial number is for both capsules for DM-1 (C201) and DM-2 (C203). IIRC, C202 is the one that was used for the ECLSS testing. Just as a reminder. 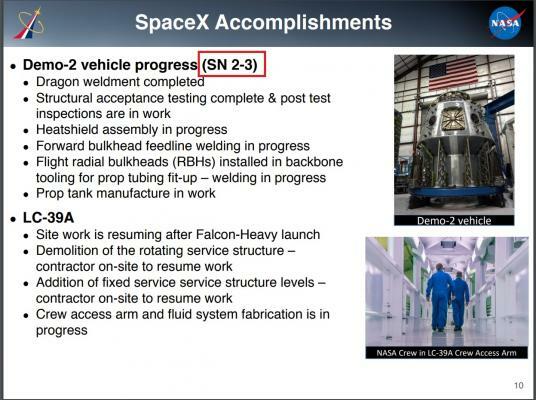 Falcon Heavy Center Core STA was B1027. And now that I'm talking about Falcon Heavy. 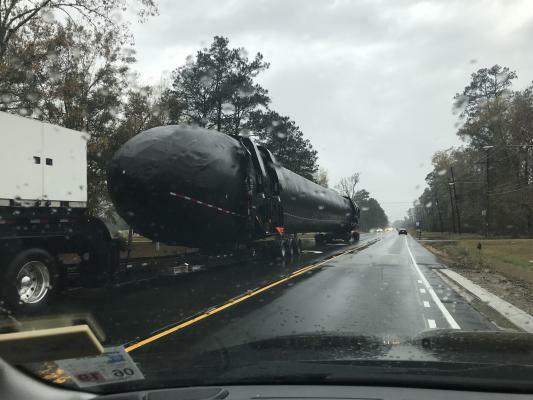 The first FH Block 5 side booster, B1055, was spotted on the road in Louisiana, probably going to Florida to join her sisters B1048 and B1051 at LC-39A. Of course, I also do consider the obvious situation that their production pace did delay significantly and they have produces one less core then expected. In that case, 1055 is this first FH-side, 1056 the second, and 1057 is about to leave Hawthorne..
- Which core to fly DM-2? - Which core to fly Inflight Abort? - No clear mission in near future for 2 brand new cores..
- Why not then ship the center core first? - No obvious delay in production pace? 1051-1054 have left Hawthorne in 60 days, thus 20 days between each..
- No tweet claiming all hardware for next FH at McGregor.. Would have been a nice media moment.. Drove by McGregor facility today. Didn't see any boosters vertical. Rain, low ceiling, but surface vis was OK to see the cranes, test area, etc. 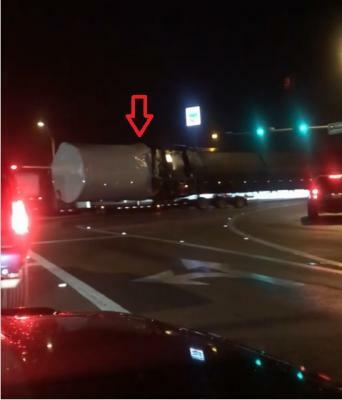 And just as expected, a new booster has arrived at McGregor. Bump on the interstage indicates it is the next Falcon Heavy Center Core. This should be B1057. Edit: Changing the link. The content creator, Abby Garrett, took down the other post and edited her video to add credits to it citing lack of them either on facebook and reddit and because I don't want to get on another dicussion with her here too about what is the difference between taking credit of content and sharing something that someone made, I edit this post in respect to her decision. The screenshot with the arrow will stay the same as I'm on mobile and I don't really want to make this more annoying than it is. Just read the whole discussion, and it was a bit of a mess. Thanks for sharing, though! 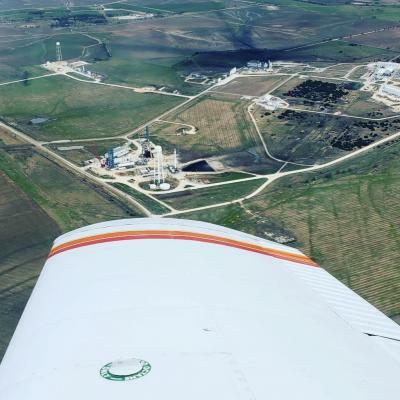 We don't usually see a lot of pictures of boosters on the test stand at McGregor outside of L2 but here we have two from instagram user Ryan Gardner who overflew the test site recently and posted a few pictures of that on his instagram account. It looks like it has a white interstage, too. Perhaps this could be that mystery "block 5 with white interstage" core that was seen at Hawthorne during the #dearMoon announcement? Omitting the SpaceX logo makes sense because it'll always be paired with two side cores that have the logo. But the white interstage is a fascinating change because it suggests they're using the old Block 4 TPS (cork painted white for water resistance, IIRC) instead of the new Pyron Zoltec material that debuted on Block 5. They switched to the Zoltec stuff because it can last many more flights without replacement, but the Block 4 interstages were clearly good for at least two flights without having to replace the TPS (most pre-B5 reflights had toasty-looking interstages indicating the TPS hadn't been replaced), maybe three or four in theory. So, a Block-4-style interstage should be enough for their near-term plans for B1057, but it suggests that they aren't expecting to get a lot of flights out of this core. 1. Since FH is expected to fly infrequently (only once or twice a year), this booster may not get many opportunities to fly before Starship replaces it, particularly if they build a second center core to join it in the rotation (a backup would be wise to have, especially since they are planning to stockpile F9/FH cores and shut down production). If Falcon Heavy turns out to be more popular than expected, they can just replace the cork TPS every few flights. It'll be more expensive but probably not too bad. 2. They might be planning to expend this core after 2-3 flights. As far as we know, both Arabsat-6A and STP-2 are going to allow recovery of all three cores, but maybe they know something we don't about the flights they have planned after that? 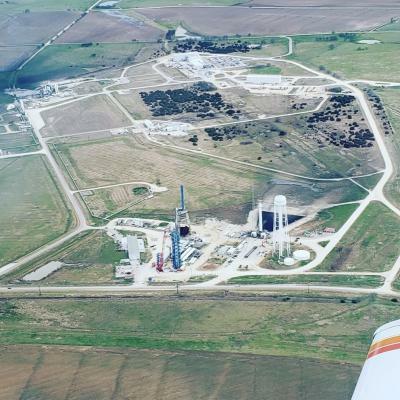 According to the Reddit manifest, the next two FH flights will be AFSPC-22 (Sept. 2020) and ViaSat-3 (H2 2020). AFSPC-22 is listed as GTO with a mass of ≤6350 kg, which should permit 3x recovery even if they go significantly supersynchronous. ViaSat-3 has a similar mass (~6400 kg) but IIRC, they are flying an "almost direct insertion" profile which partially circularizes the orbit*. That could definitely account for an expended center core. If the Block 4 TPS is good for (say) 3 flights, they wouldn't need to replace it if the fourth is going to be expended, since that TPS only exists to preserve the interstage for re-use. 3. Given how challenging it was to rework the Falcon 9 design for center cores so they can take the side loads from boosters, it's possible they just aren't structurally capable of the same number of reuses as a regular Falcon 9. If they know internally that the Block 5 FH center core design (in its current iteration as of 1057's production) is only able to handle a few flights, there's no reason to put the Zoltec TPS on it. Ah, I'd forgotten about that picture, thanks. So much for my complicated theories.